Kind of Pink and Purple: Are you there? 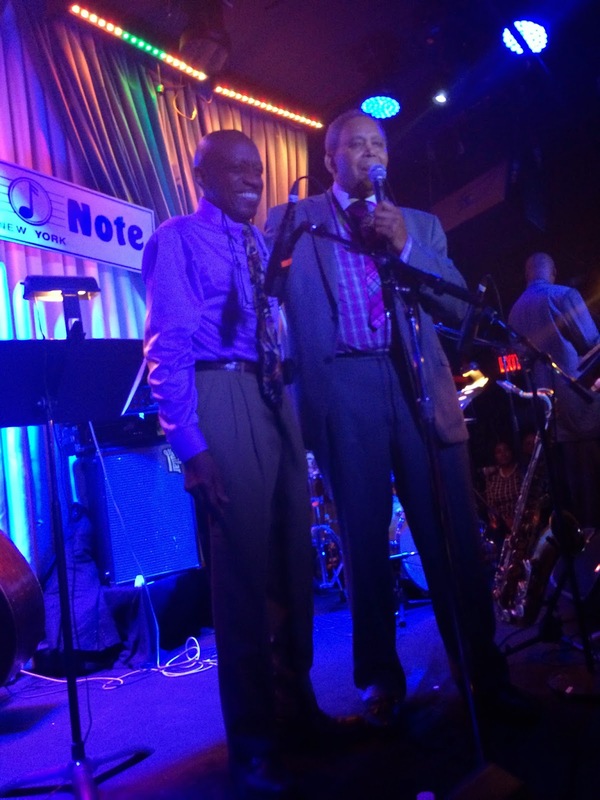 Saturday, September 13 I traveled with my dad to experience an unforgettable concert featuring Odean Pope, Pharoh Sanders, James Carter, Geri Allen, Reggie Workman, and Jeff "Tain" Watts at Blue Note Jazz Club for a Half Note Records live album recording. To learn more about the artists, listen to this WGBO interview. I have never travelled to New York City for the sole purpose of attending a concert. My dad and I scheduled train tickets and everything in advance and looked forward to this concert for weeks. On the day of the concert my dad was traveling back from Vermont and his car broke down on the highway. Instead of calling to be towed, my dad drove over a hundred miles in his broken car so that he could be back in time for the train to go on our trip. If that isn't dedication to jazz, I don't know what is. After this scary moment, we arrived at the train and took our six hour ride. 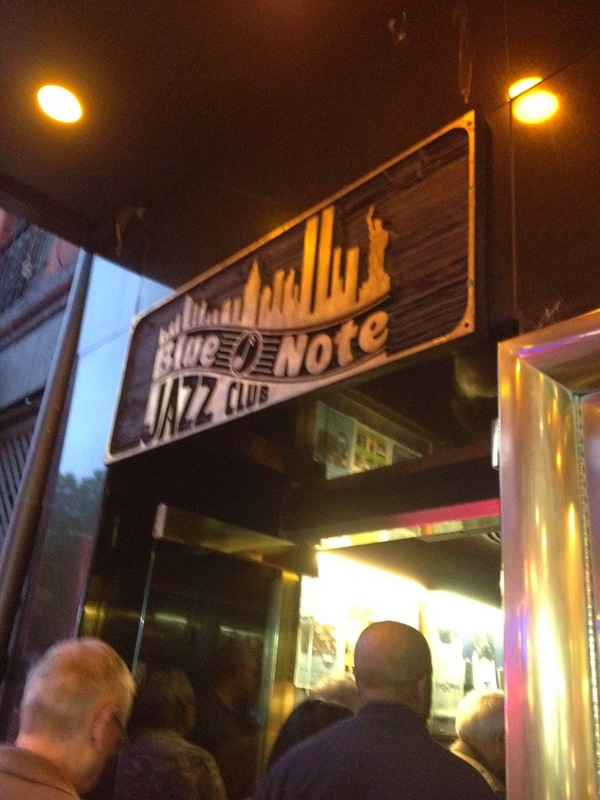 We took a taxi to Blue Note and arrived at 6:40. The concert was scheduled for 8:00, and the venue was packed at 6:40. The first set started with a bang. The members boarded the stage with fierce enthusiasm. 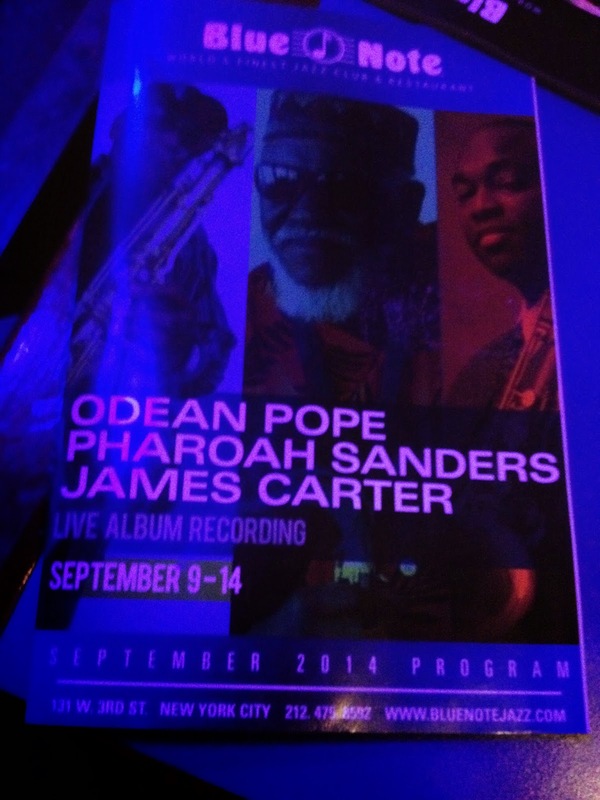 The concert started with Odean Pope, James Carter, Geri Allen, Reggie Workman, and Jeff "Tain" Watts. The sound electrified the room. I have listened to a lot of jazz, but I can honestly say this concert was a sound I have never heard before. It was so energizing and new. Every moment made me smile and so thankful for music. The CD of the concert will be released closer to May. Right from the beginning I was in awe of the individual talents as well as the ability for the group to mold together. Everyone was friends and you could tell that by the way they smiled at each other, hugged each other, responded to each other's musical statements. Sometimes a member would be playing 'sheets of sound', and everyone else would lay out to give space; and other times a member would sit on a note while the rest of the band responded with accented hits and cascading runs. The band played a couple songs called "Out for a Walk", "Family Portrait", and "Framed in a Picture". Odean Pope prefaced "Framed in a Picture" as a dedication to his wife that passed away in 2012. He emphasized that they were joined at the hip and when he was on tour in Max Roach's band, she came everywhere with him. And the way Odean Pope prefaced that song sent chills through the audience. You could physically see the pain he went through and the pure sadness he still feels. Pope played one note, and I couldn't help but cry. That one note was so beautiful, real, genuine, and full of emotion. All of a sudden in the middle of Pope's solo he stopped the band and insisted on praying for his wife. Then he told the story about how after his wife passed away he went into a nervous breakdown. And you could hear those stories in his playing- the way he held a note, bent a note, squealed in the upper register, and moaned with coarse articulation in the low register. And that's the thing I wish more people saw from jazz- the empathy you gain for and from other people. Then, Odean announced Pharoh Sanders, and everyone in the audience clapped. Pharoh was quiet and frail, but his sound was the complete opposite. The first note he played was with the most electrifying, raw, abrasive tone full of overtones and harmonics. That kind of sound was so intense, Pharoh could play one note and it would aggressively cut through the entire room. Odean's sound was fiery, harsh, and fierce. Odean would squeal in the upper register then jump to a honk on his low register, filling the gaps with multi-phonics and cascades of notes. After finishing a solo, Odean would yell, "Yeah!" and look over the audience exclaiming, "Are you there? Can you hear?" 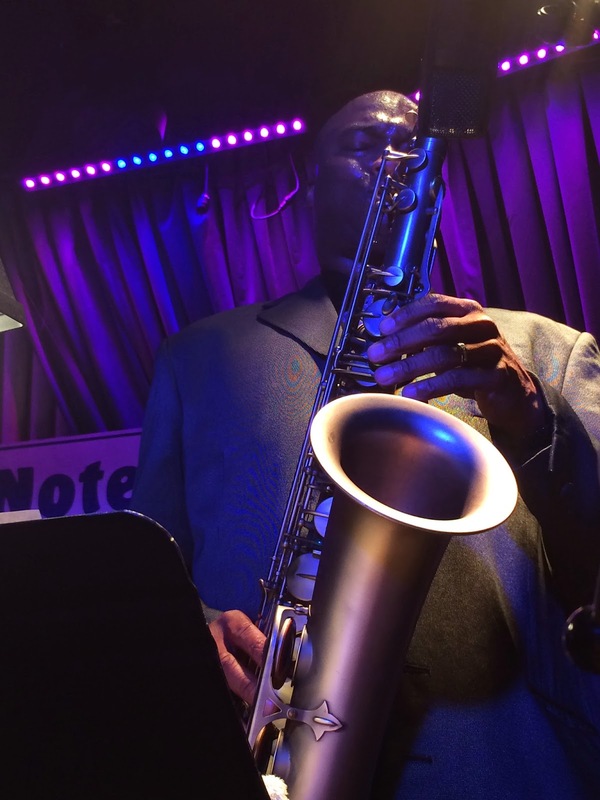 James Carter's sound has such a broad, powerful range. From the softest whispers to most pushy squeals, Carter not only has complete control of his instruments, but knows how to use this control in the most musical way. Carter would often quote songs as a joke, such as "Take the A Train", "Carmen Fantasy", and "Rhapsody in Blue". 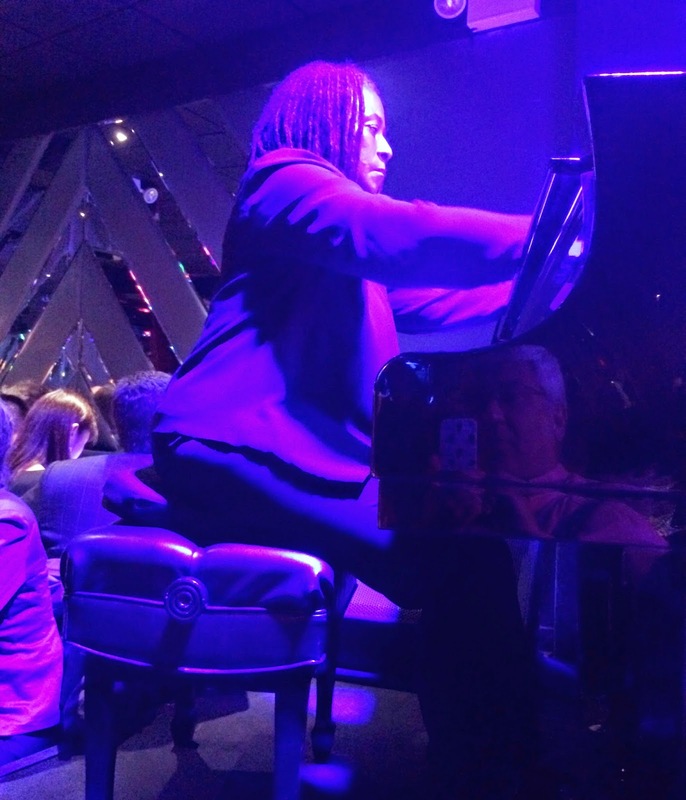 Geri Allen was the calmest member of the band, but still played with observance and fire bringing together single and chordal lines seamlessly. Reggie Workman's solos were wild, with jumping registers, bending notes, and sure fluidity. 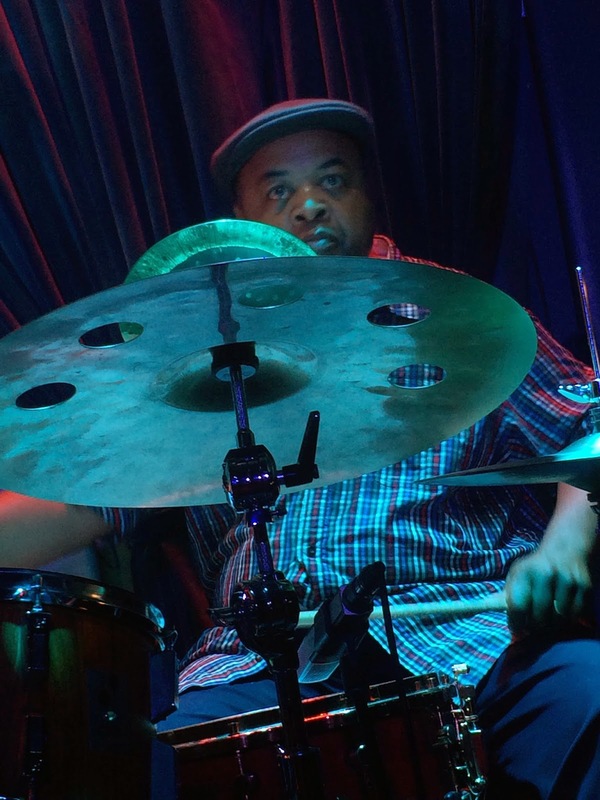 Jeff "Tain" Watts was having a blast, and played intricate drum patterns under the guise of simplicity. All three horns played together, complementing, questioning, observing, and responding to each other. And the beauty of the moment was that they were all improvising, everyone in the band. I did not catch the names of any other songs, but in some ways that ambiguity enhanced the night. The band members "getting low"
I attended both sets of the night, and although there were similar song choices, the sound changed. Through improvisation, and the mood of the moment, solos became more drawn out, and everyone seemed to be getting even deeper into the music. The band members would dance during each other's solos, often physically "getting low" and crouching down. Everyone was so funny and connected, and the audience really responded to that and understood the inside jokes. The moments that frame a life are experiences. 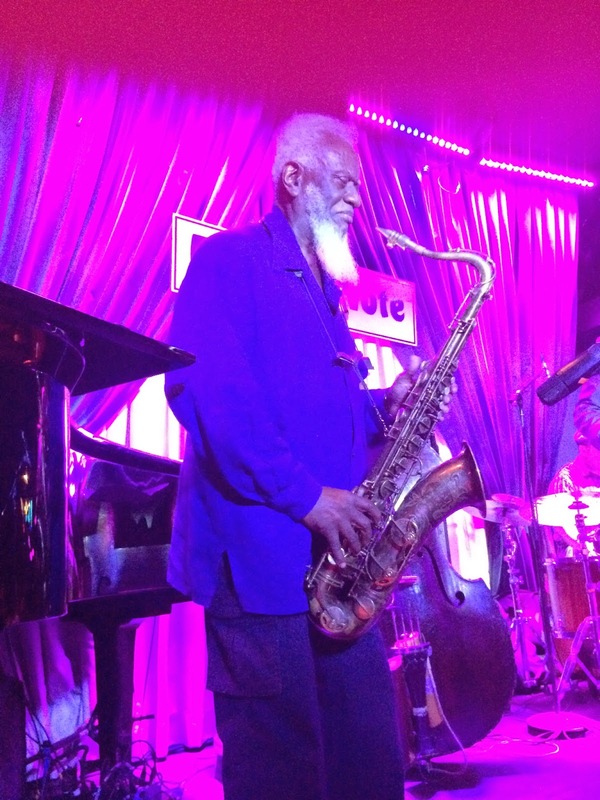 I am so grateful to jazz as a music and culture for shaping my life in a positive way. This entire experience really inspired me not just musically, but personally. 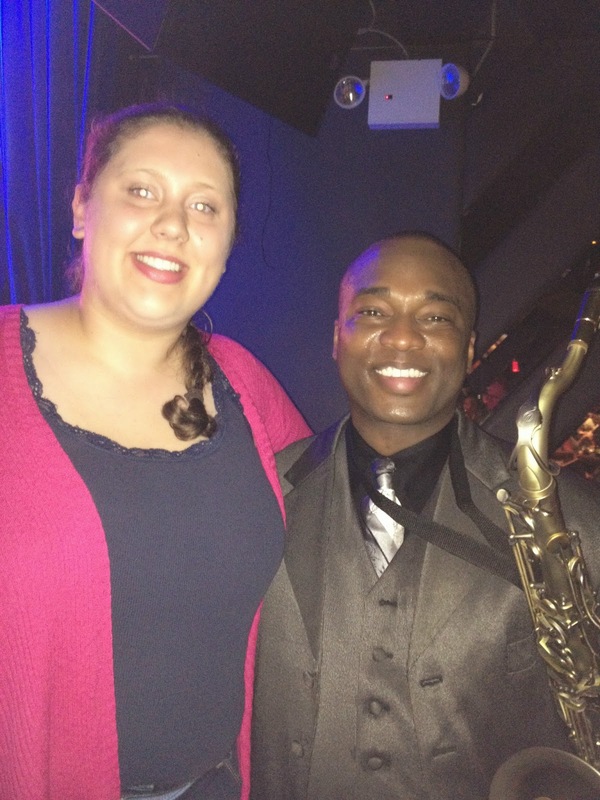 Meeting James Carter and Reggie Workman really proved that some of the most talented people are also the kindest people. 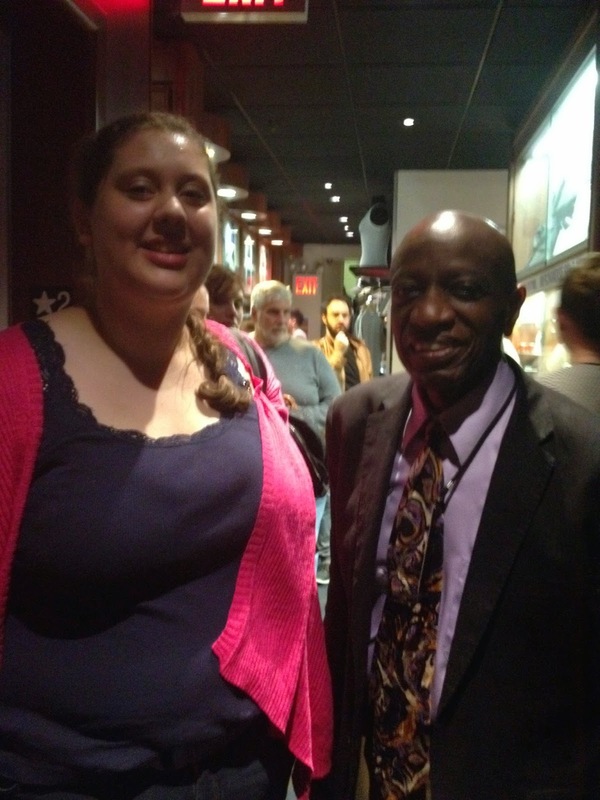 Reggie Workman even came up to me and exclaimed, "You have some ears, you were really listening. I saw." So to answer Odean Pope's question, yes, I was there. And being there in that moment was out of this world. This experience inspired me to write my poem, 'Present Tense' on my jazz poetry blog 'Without a Poem'.